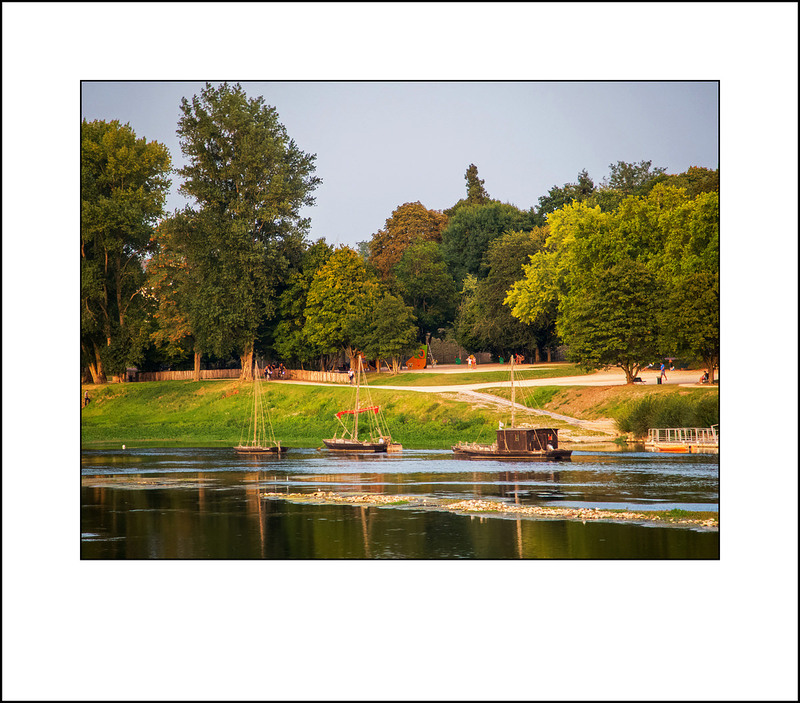 For those who are curious to know where Blois is, it's right in the middle on the Loire Valley where most of the chateaus of this famous valley lie. 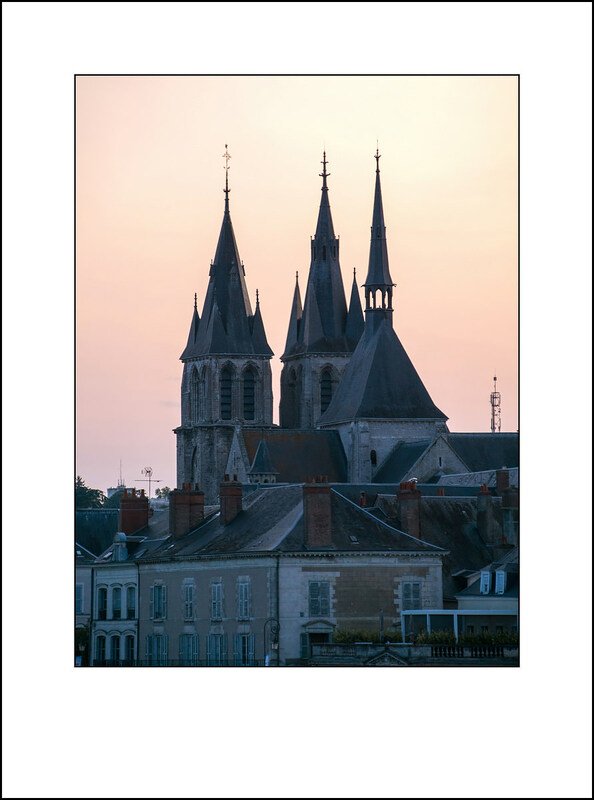 From Blois, it's only a short hop to many of the most famous of these chateaus. This is the main reason why I and my wife have come for an extensive stay. This trip was planned for 2016 (but we had to change for personal reasons), but nothing was going to stop us from making this trip this year. It's one point on my bucket list and I was determined to cross it off this time around. 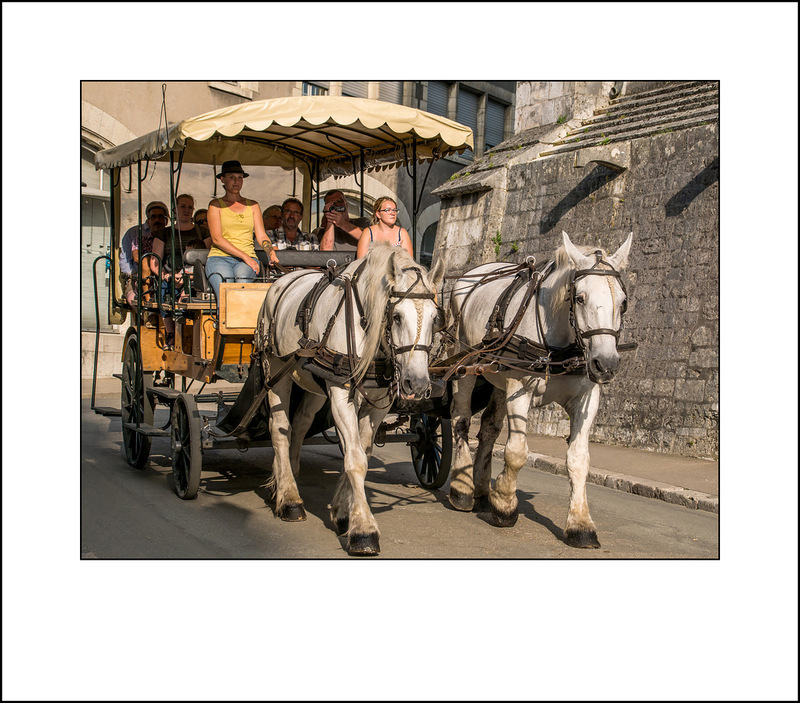 Let me get some history out of the way first and explain a little about the Loire Valley. In all, there are between 300 and 400 chateaus in this area. Now that is a lot and you have to agree you can't visit them all in two weeks. Our main aim this trip is to visit the main attractions. Some time in the future, when work is no longer an issue, I will return and visit as many as I can. These chateaus are quite fascinating because for one, there are so many of them and secondly, when and how they were erected. They are real architectural masterpieces. 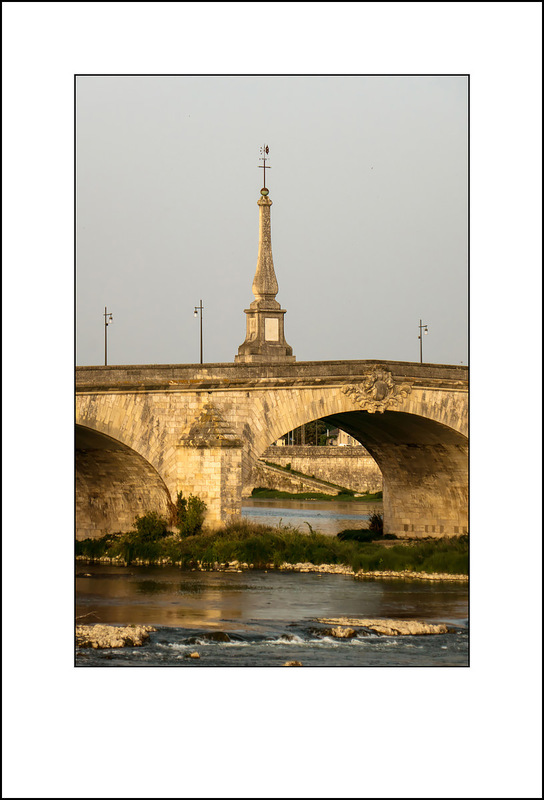 Note: Leonardo da Vinci spent the last 3 years of his life here and is buried not far from Blois. More on this later. My goal on this trip is to assess a number of cameras and lenses that I have had little time to use because of other commitments. (I'm also here to enjoy the sights of course). The Olympus E-M1 I've had for quite some time (and have no plans to upgrade to the Mark II). It does it's job well and is really sufficient for my purposes. I haven't really got to grips with it yet but this will be a major test. The E-M5 II I have used quite often and have had excellent results with it. I thought the Panasonic 7-14 f4 would fit nicely on it. I brought the Panasonic GX7 with me to test out the new firmware for the Tamron 14-150 f3.5-5.8. My best results with this lens came from the GX7 so I'm hoping to see better performance after the firmware upgrade. The Panasonic TZ101 is with me because it really has impressed me when I look at the images from this little camera. I know it's only a 1" sensor but Panasonic has put some magic into this little pocket sized camera. Don't forget the FZ1000 and the Sony RX series have the same sensor inside. This 1" sensor does extremely well in my opinion and I hope to prove it on this trip. Take a look at some of the professional photographers who use these 1" sensors, you'd be surprised what they can achieve with them. If they're good enough for them, then they'll certainly be good enough for an amateur like myself. Since space was not a problem on this trip I've brought along quite an arsenal of lenses. A lot of these are primes which I haven't used for quite some time. Olympus 12-100 f4 - First major trip out for this lens and I really don't expect any problems with it. I'll be using this with the E-M1. I think it just balances better on it than on the E-M5 II. Panasonic 7-14 f4 - I've only had this lens a short time but intend to fully utilize it on this trip. It will be handy for interiors. The fact the it's only an f4 lens doesn't bother me one bit (same as the Olympus 12-100 f4). Tamron 14-150 f3.5-5.8 - To test the firmware update but I don't intend using it a lot. Olympus 75-300 f4.8-6.7 - This is the original version and I brought it along just in case I needed the 300mm. It's doubtful that it'll get used on this trip but then you never know. Panasonic 12-32 f3.5-5.6 - This little gem of a lens should be in every m43 camera bag. It’s just super. This is the first post in a rolling report if you like. 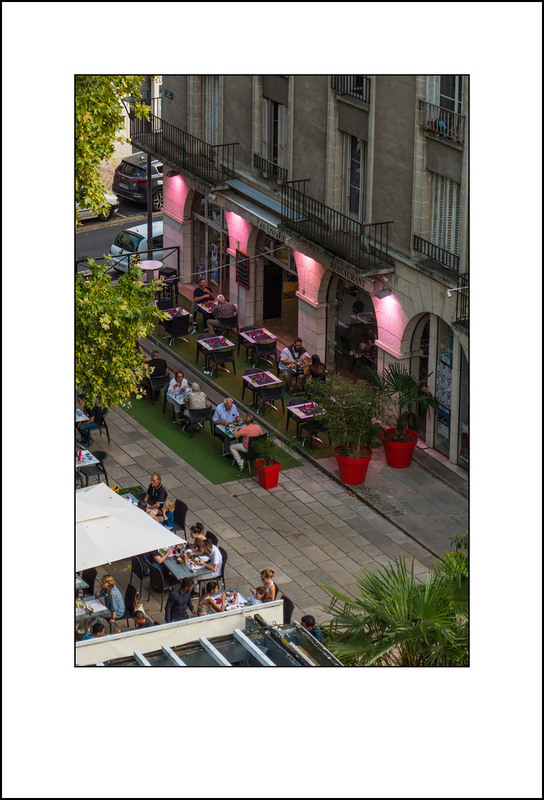 I won't be posting directly from France but write-up what we did during the day/evening. I will be posting these after I get home and have finished processing my images. It might well take some time to get everything posted. It's been some time since I've had some shutter therapy and I'm going to make full use of my time in the next couple of weeks. Posts will be done a day at a time accompanied with some images from different cameras and lenses. 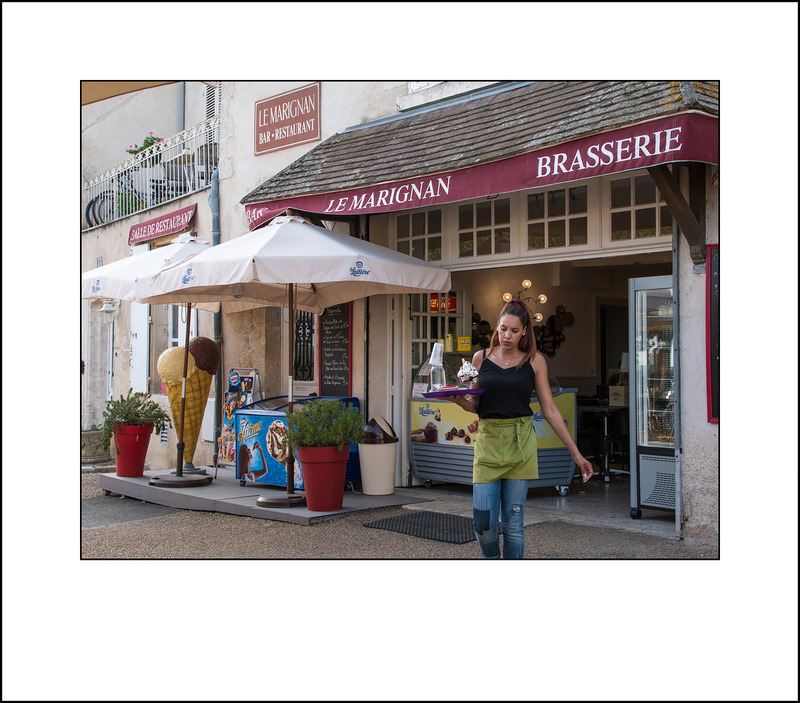 This is Day 1 so here are a couple of images taken during our initial visit to the town of Blois. 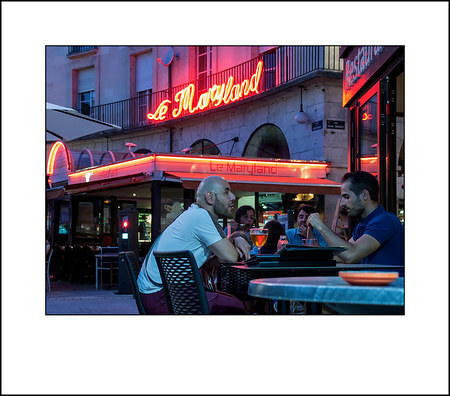 I will be posting some more images of Blois as the rolling report goes on. Cameras/lenses used during day 1 were the Panasonic GX7 with the Tamron 14-150 f3.5-5.8 mounted. I also took the Panasonic TZ101 in my jacket pocket. offered quite a ride.It certainly wasn't a 5 minute round the block ride. for an evening stroll and always manged to end up here. This is about the only way out to the south of the town. this bridge at least once. 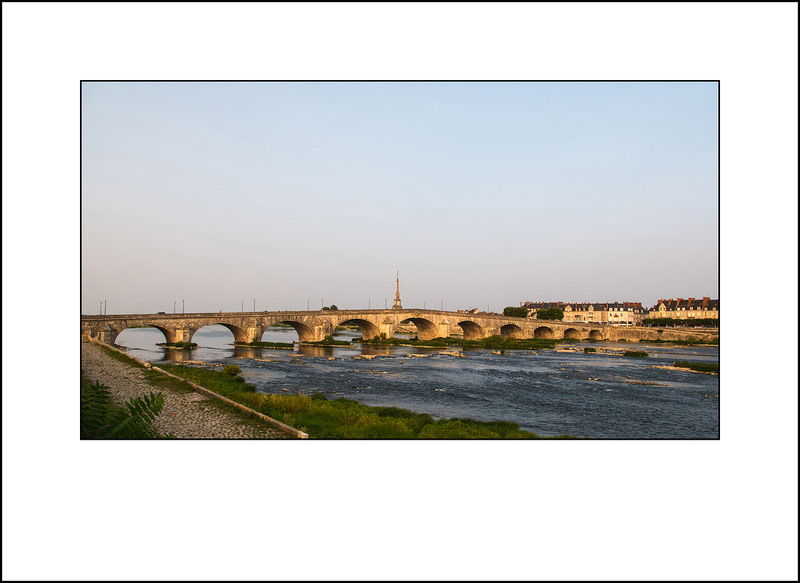 because the Loire is very wide but also very shallow. length. Too long, too shallow. 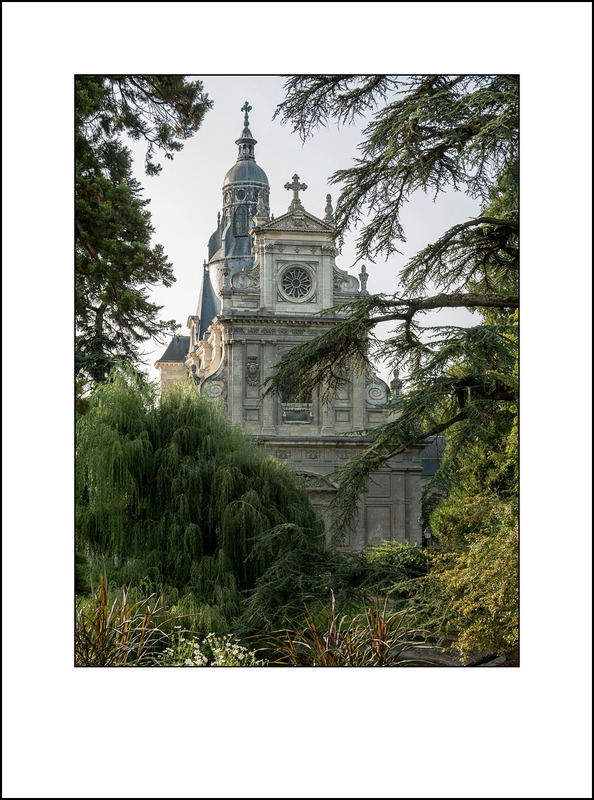 Just one of the many churches to be found in Blois. It really is astounding how many churches there are in France. 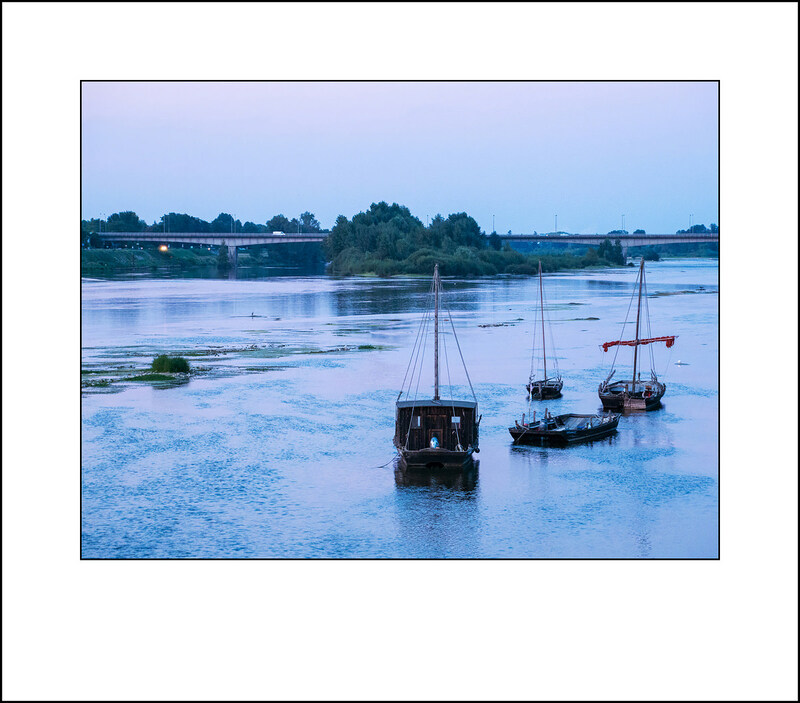 The Loire boats again during the blue hour. these two gentlemen discussing something over a beer. 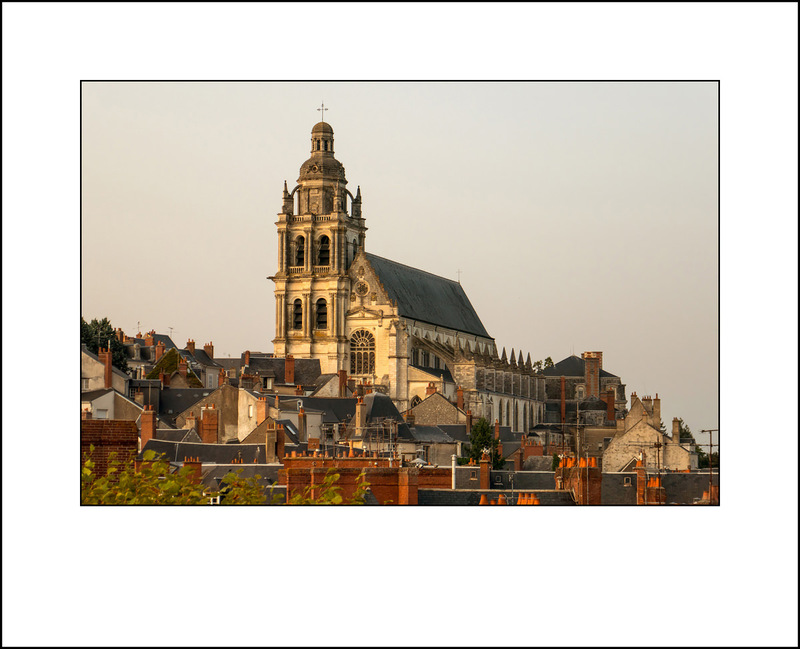 Blois Cathedral. Love the floating buttresses. with the Panasonic TZ101 at nearly full zoom. Pretty happy at the moment with this little comera.